Friendly n helpful stuff,pleasant all the time n trying to help,,breakfast was great. The staff was very polite and helpful. the room was very spacious and nicely decorated. The breakfast in the room is also a plus! Overall would definitely recommend this hotel. This hotel is the best! fullfilled all my requirements. Facilities were excelent and the view from the hotel fantastic. The staff could not be more accomodating and I felt really comfortable during my holidays there. Breakfast in the room was abundant, delicious and perfect. Ammenities in the bathroom really high quality.There were raining days at Istanbul so I enjoyed most the room. Thank you! EVERYTHING! But most notably the service! I actually teared up a couple of times at how kind, helpful, and attentive the staff was but especially Emra (I hope I got his name right, he's the front desk manager).., talk about above and beyond!! 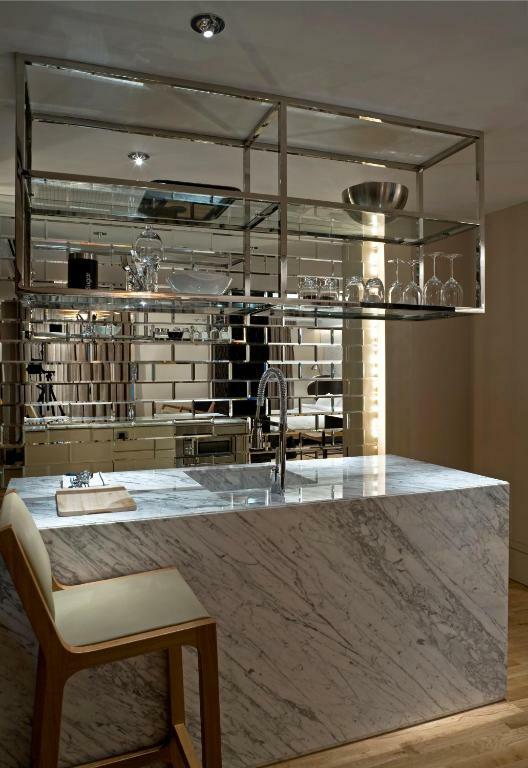 Gorgeous boutique hotel with excellent rooms and friendly, helpful staff. We want to come back! We stayed two nights in the Sultanahmet area close to old tourist attractions but had heard great things about this area as being younger and trendier, so we decided to spend one night at Witt Istanbul Suites. It was definitely worth it! 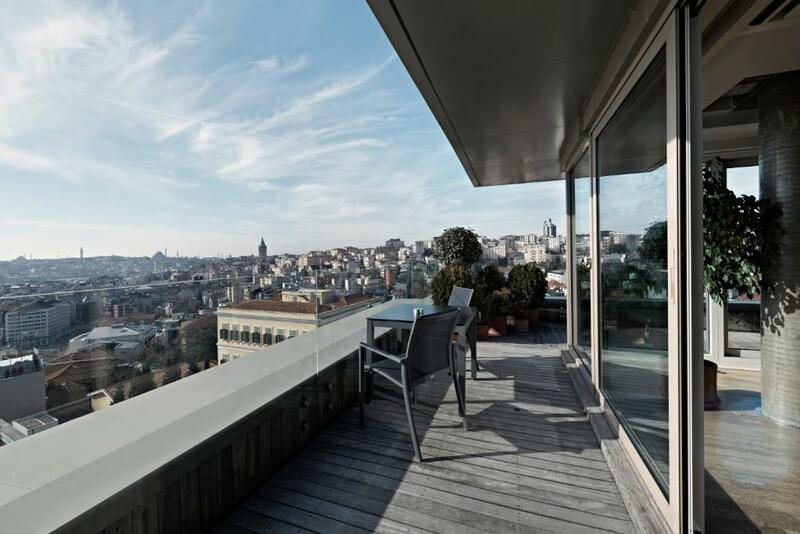 The neighborhood is great, it has a completely different vibe than the old city, and the facilities are amazing—with a comfortable bed, clean and modern interior, and a rooftop terrace with an incredible view. The staff is so helpful and gave great suggestions on restaurants in surrounding neighborhoods. Just wonderful all around! This place is beautiful, great staff and the view from the roof too is amazing. 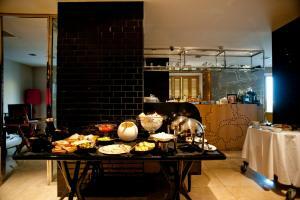 Great breakfast and is located walking distance to many good places When I come back to Istanbul we would stay here again! 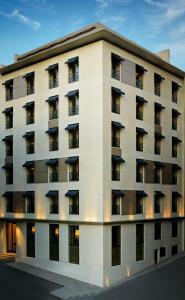 Lock in a great price for Witt Istanbul Suites – rated 9.5 by recent guests! Located in the Cihangir district, Witt Istanbul Suites offers luxurious rooms and a peaceful terrace garden. Free private parking is available nearby. 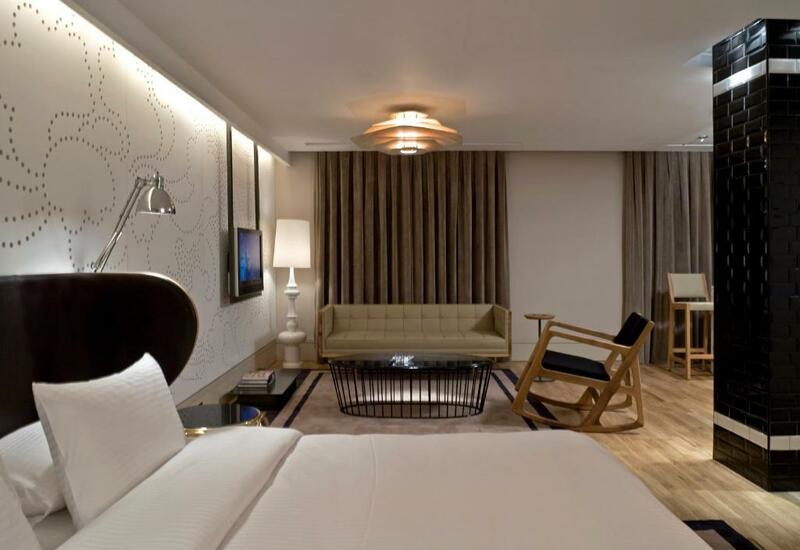 The open-plan rooms at Witt Istanbul feature a retro-modern interior decorated with parquet floors and organic wooden furniture. Each room has free WiFi, a flat-screen TV with a DVD player, and a kitchenette with a Nespresso machine. Every morning, guests can enjoy a home-cooked breakfast made with local and organic ingredients, including traditional Turkish breakfast favorites such as marinated olives and white cheeses. Room service is available 24/7. Witt Istanbul's public spaces are limited to a cozy lobby bar, where guests can pick out a book or DVD, or use the Apple iMac to check their emails and surf the web. Taksim Square is 0.6 mi from Witt Istanbul Suites, and Dolmabahçe Palace is 1.6 mi away. 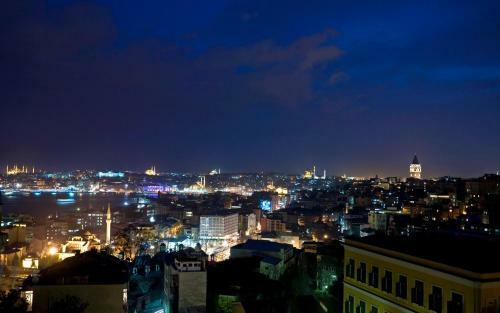 Istanbul’s Old City is 1.9 mi from the hotel. At the Old City, guests can visit Topkapi Palace, Hagia Sophia and the Blue Mosque. Istanbul Airport is within 32 mi. When would you like to stay at Witt Istanbul Suites? 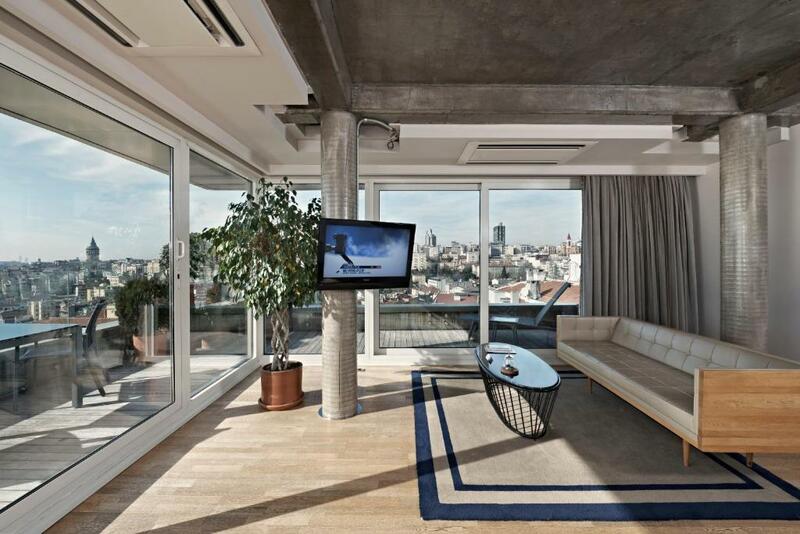 This suite has panoramic views of the Bosphorus and the Golden Horn. Spacious room with LCD TV and a kitchenette. This double room features a soundproofing, satellite TV and CD player. House Rules Witt Istanbul Suites takes special requests – add in the next step! Debit card Witt Istanbul Suites accepts these cards and reserves the right to temporarily hold an amount prior to arrival. Witt Istanbul Suites accepts these cards and reserves the right to temporarily hold an amount prior to arrival. Hard beds. All furniture pretty uncomfortable. Heating may have been faulty. Room stiflingly hot, the alternative of opening the windows was barking dogs all night and the incredibly loud muezzin at 5 am. A fan was produced which helped but white noise of some sort essential. Hmm, difficult one that - I honestly can't think of anything. we would recommend it for couples, we spent 4 wonderful days, the staff were lovely, discreet and helpful, we would definitely go again !!! Thanks ! The place was great. Close to the city center. Very nice hotel clean .The staff and the service is excellent. I reccomend to all that want a butik hotel . No television at the time of my stay,,,toilet was not clean,,cleaner kept back n forth in order to clean the toilet.. Booked the Penthouse for two nights and was not disappointed! The Suite is amazing; not just the view, but comfortable and spacious. The staff was superb; arranged Hamam booking; hair salon; dinner reservation and transfer to the airport. Epitome of hospitality! Breakfast is served until 11am and the selection is fantastic. Location is the best- close enough to Galata with the touristy feel. 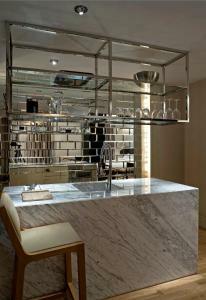 Great restaurants, shopping and oh the Hamam. Room 601- you won’t regret it! perfect location, lots of restaurants, coffee shops and bar near and still its a quiet neighborhood. , great staff !! they did everything to help us around, perfect room. breakfast was really good. All good but you have to walk every day on the slope healthily. I dont regret this though because the staff is the best I ever seen! Staff! All proactive, well mannered and took initiative to help you with your troubles. Lost luggage at airport, when I told them to expect my lost luggage to be delivered, they actually followed up every now and then by calling the airport. Best hotel service ever!